University of Georgia Press, 9780820331522, 143pp. In these nine evocative essays, Barbara Hurd explores the seductive allure of bogs, swamps, and wetlands. 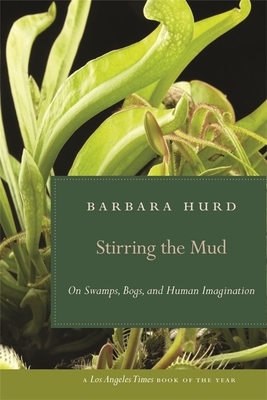 Hurd's forays into the land of carnivorous plants, swamp gas, and bog men provide fertile ground for rich thoughts about mythology, literature, Eastern spirituality, and human longing. In her observations of these muddy environments, she finds ample metaphor for human creativity, imagination, and fear. Barbara Hurd is the author of "Walking the Wrack Line," "Entering the Stone," and a collection of poetry, "The Singer's Temple." Her work has appeared in "Best American Essays," "Yale Review," "Georgia Review," "Nimrod," "New Letters," and "Audubon." Hurd teaches creative writing at Frostburg State University, where she has held the Elkins Professorship, and at the Stonecoast MFA program at the University of Southern Maine.